Currently residing in Camberwell and looking for a robust yet affordable gutter protection services for your roof? CPR Gutter Protection has been serving Victorian households with their gutter guard and roof solutions for over 20 years. CPR Gutter Protection products are 100% Australian manufactured and are made from the highest quality aluminum. All gutter guard protection products come with 25 years warranty. If you are unsure about the type of gutter guard required for your gutters, our professional installers will first come to your home and assess your roof and gutters to find the perfect design fit. The perfect fit design also takes your specific needs into consideration along with other factors such as Camberwell climatic conditions, the types of trees around your home and the expected amount of leaves and debris to fall from these trees. The size of mesh is determined by having knowledge about the leaves and debris. CPR Gutter Protection is committed to delivering the highest quality gutter guard solutions to Camberwell and surrounding eastern suburbs. Clogged gutters are cleaned by our professional installers prior to installing the gutter guard protection system. The professional installers are fully insured and are well-equipped with safety equipment. Gutter guard protection system will not only keep the leaves and debris away from the gutter but also put an end to creating a comfortable environment for intruders. Exposed gutters also serve as a passageway for intruders to enter your home and find refuge. Along with this, installing CPR gutter guard protection system will ensure the rainwater collected for rainwater harvesting system is clean and the house is also saved from ember attack. 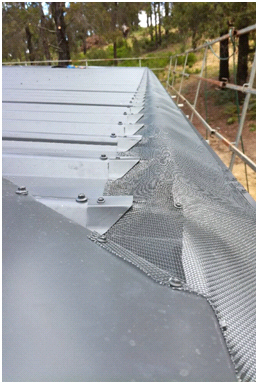 Are you ready to install your robust gutter guard protection system in your Camberwell home? Call CPR Gutter Protection at 0431 239 512 to help you with gutter guard installation.